Bajaj has now entered the Platina in the 110cc class to compete against the likes of the Honda CD 110 Dream and the Splendor iSmart. The Platina 110 has been launched at Rs 49,197 (ex-showroom Delhi), considerably more affordable than its rivals in question. Despite being more affordable, the Platina 110 packs a lot of goodies. 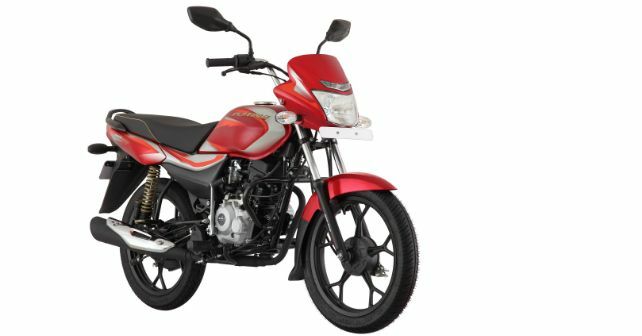 First things first, in line with the upcoming norm that makes combined braking system (CBS) mandatory for all two-wheelers less than 125cc, Bajaj has introduced their version of CBS – Anti-Skid Braking System, in the new Platina 110. Other notable features include tubeless tyres as a standard fitment and 110mm dual spring nitrox shock absorbers. While Bajaj promises 20 per cent lesser jerks on the Platina 100 ES, they claim this 110 to be even more comfortable thanks to the suspension hardware. At the heart, the Platina 110 makes 8.6 horses and at 9.6Nm makes more torque than any other motorcycle in its class. The engine comes paired with a 4-speed transmission. To ensure that the Palatina 110 is distinguished well from its 100cc sibling, Bajaj has draped it in new decals. The Platina 110 is available in three colour options - Ebony black with grey decals, Ebony black with blue decals and Cocktail wine red.